Smart LED light bulbs are an easy way to transition your house into a “smart home”. Smart bulbs do not require permanent installation, so if you move, simply take your smart bulbs with you. They are easy to install, easy to use, and come with a variety of customizable features. LED bulbs are energy efficient and have long lifespans. Some of them are designed for function, others are designed for fun. The best smart LED light bulbs are both. So how do you know which smart LED light bulb is for you? Wi-Fi models connect the bulbs to your router. This often allows connection to other smart devices such as Nest or Amazon’s Alex. Wi-Fi also allows you away from home control via apps on your smartphone or tablet. Bluetooth models connect directly to your smartphone or tablet. This means that your Bluetooth device must be in range to control the smart bulb. Yet many of these models are highly programmable allowing for lighting changes while you are away. Many people are replacing old incandescent light bulbs with LEDs to reduce heat output and garner energy savings. But if you love dimmed lights, it’s not as simple as swapping out the bulbs. Dimmer switches designed for the old incandescent bulbs will often lead to a hum or annoying buzz from LED bulbs. Smart bulbs allow you to dim your lighting without replacing your existing switches. 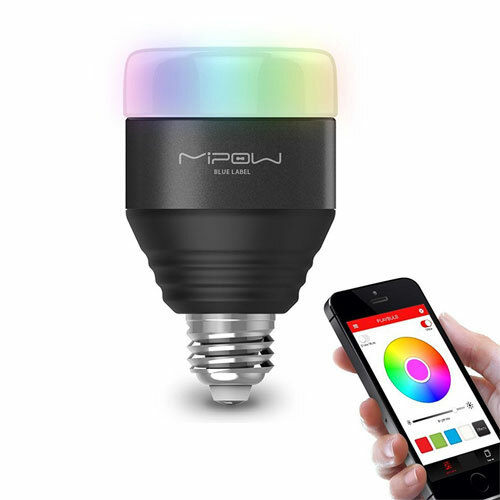 Controlled by the PLAYBULB X app, available through Google Play and the App Store, the MIPOW E26 offers the variety of special effects and colors you expect in a smart bulb. There’s no need for extra hardware or hubs, just screw it into any standard lightbulb base and download the app. The 5 watt LED has an average lifetime of 20,000 hours and the brightness of a 40W incandescent bulb. You can group up to five of these together as a bulb group or control a single bulb. Besides the usual timer/color settings, there are four color special effects: pulsing, rainbow, fading, and flashing. 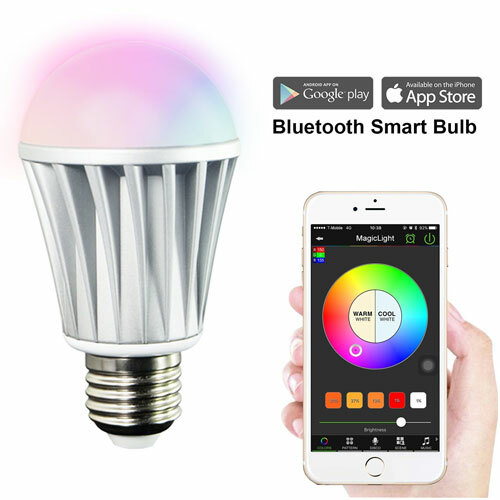 The bulb requires Bluetooth 4.3 or above for Android users and iOS 7 or above for Apple devices. The Wi Fi is built into the bulb, so it requires no additional hardware. Simply replace any standard lightbulb and download the LIFX app for Android, iOS, or Windows 10. The brightness is equivalent to a 75W incandescent bulb, yet it boasts 16 million colors and varies whites from warm to cool. This bulb integrates with your favorite smart home products like Nest, SmartThings, and Amazon Alexa (all sold separately). Use Alexa to dim lights, change colors, or vary your shade of white by voice command. The LUCKY CLOVER requires no hub. The Tuyasmart app allows you to control your lights from anywhere with your tablet or smartphone. The Tuyasmart app is available for Andriod devices (4.1 or higher) and iOS (8 or higher) systems. You can set schedules, timers, and countdowns for convenience and security. It is equivalent to a 50W incandescent bulb and has a life expectancy of 20,000 hours. Connect it with Amazon’s Alex (Alexa sold separately) for voice controls. Multiple bulbs can also be controlled as groups when you save your favorite settings as “Scenes.” The manufacturer lists these bulbs as suitable for indoor/outdoor use. Flux bulbs are installed like a traditional bulb and require no additional hub. They are controlled via the free “Flux Bluetooth” app on your Bluetooth enabled device. The brightness is comparable to a 40W incandescent bulb and life expectancy of 20,000 hours. With the app’s color palette, you can choose one of 16 million dimmable colors and cool and warm white. Use the “Sunrise” feature in the mornings to slowly brighten your room at a prescheduled time. 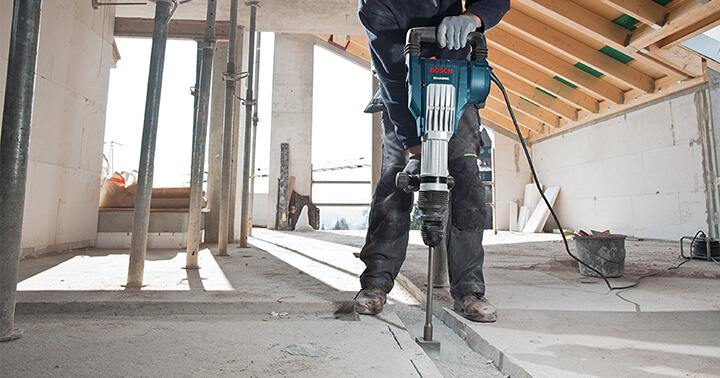 Return home to a bright house without wasting electricity all day. The bulb even features an adjustable music sync to enjoy an at home dance floor or just create ambiance. 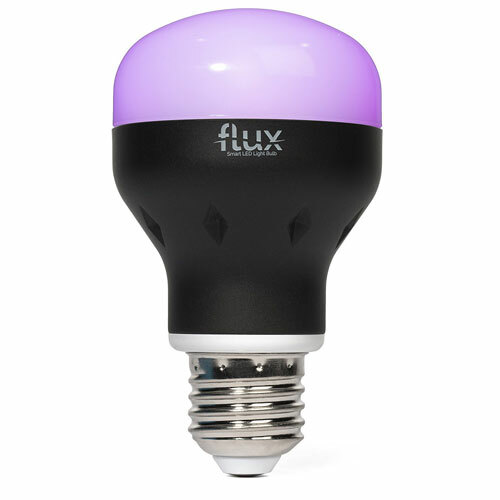 The Flux Bluetooth app can control a single bulb or group bulbs and control them together. 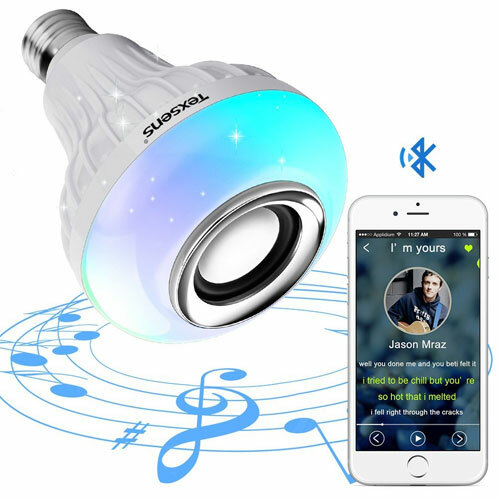 This bulb doesn’t just have a music sync function, it has an integrated stereo speaker to play your tunes via Bluetooth 3.0 and Bluetooth Smart. The 6 watt LED is comparable to a 40W incandescent bulb. It’s easy to use; just replace any standard bulb. The included remote controls the speaker volume, dimness, and bulb color. Be aware that some selling descriptions indicate that the bulb can be controlled via smartphone, but this function is for the speaker and speaker volume only. The bulb’s expected lifetime is 50,000 hours. This LED bulb is comparable to a 40W incandescent bulb. 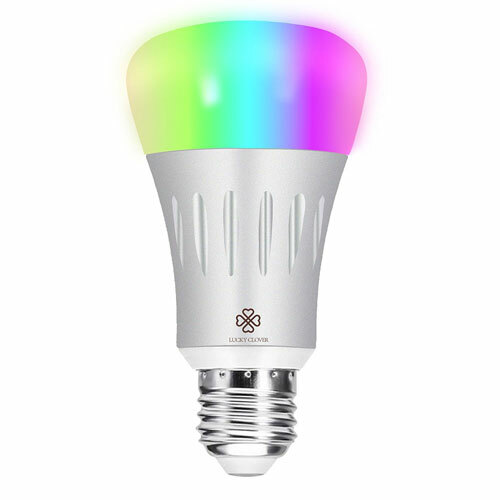 It offers 16 color choices, all dimmable. There are four fun effects modes: flash, strobe, fade, and smooth. These functions are operational only through the provided remote control. With fewer bells and whistles, its price is lower than many other smart bulbs. The affordability factor makes it appealing for mood lighting, landscape lighting, down lighting, or decorative lighting. The remote control makes this a great way for non-tech savvy consumers to enjoy the benefits without owning a tablet or smartphone. This starter kit takes your lighting to the level of smart home you would expect from the Philips lighting experts. While this would seem like a complicated project, it’s easy to set up. Simply change out the bulbs, connect the bridge to your Wi-Fi router, and download an app. The Philips Hue app is available for Android devices and iOS devices. This kit contains two white LED smart bulbs, and a bridge that can wirelessly connect up to 50 lights. The Philips Hue system gives you away from home control, lighting schedules, and can dim the bulbs for ambience. 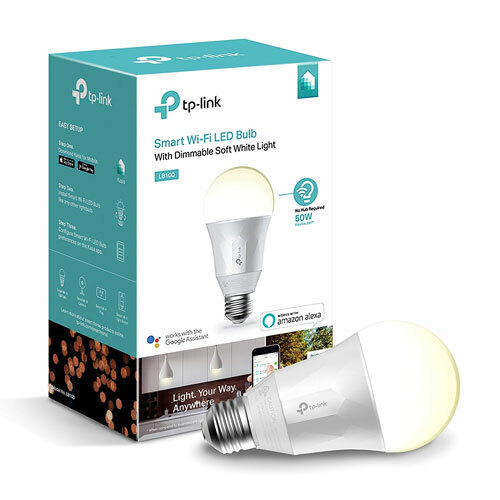 This second generation kit provides bulbs comparable to 60W incandescent bulbs. 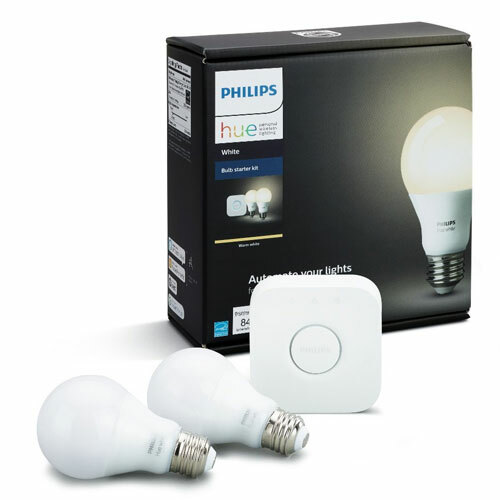 In addition to Amazon’s Alexa (Alexa sold separately), the Hue system is also compatible with Wink, Apple HomeKit, Siri, Samsung SmartThings and others. The life expectancy of the included smart bulbs is 15,000 hours. These Wi-Fi bulbs work directly with your router, so no hub is necessary. The free Kasa app is available for Android (4.1 or higher) and iOS (8 or higher) devices. This white bulb is dimmable and equivalent to a 50W incandescent bulb. The Kasa app allows you to control the smart bulb from anywhere with your tablet or smartphone. You can set timers, schedules, and if you’re late coming home, turn on the lights before you arrive. It’s compatible with Amazon’s Alexa (Alexa sold separately), Google Assistant, and Nest. With 16 million colors and multiple variations of white, all dimmable, this MagicLight Smart LED bulb allows you to personalize your lighting. 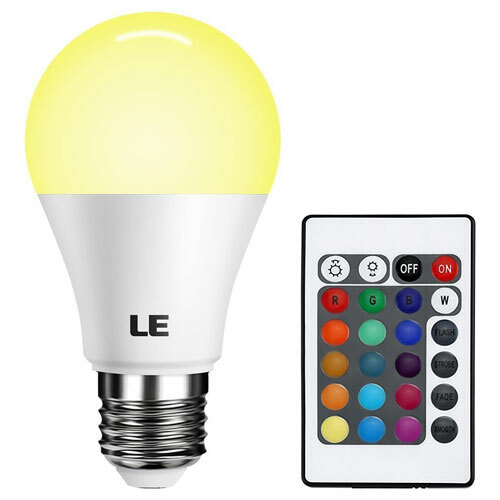 The bulb is controlled via Bluetooth 4.0 compatible devices and the MagicLight BT app. You can set timers and schedules to control your lighting while you are away. The “Sunrise” mode gradually illuminates the bulb while the “Sunset” mode fades the light to nothing. Music Sync allows you to choose Rock, Jazz, Normal, or Classical settings to match your favorite music. This bulb is comparable to a 60W incandescent bulb with a life expectancy of 20,000 hours. 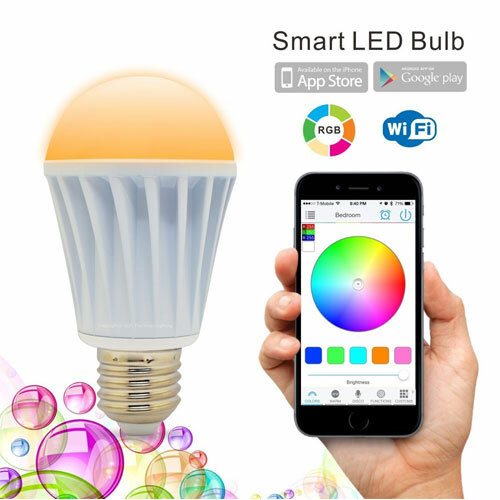 Set up is simple, just change the bulb, download the app, and sync the devices via Bluetooth. No hubs or controllers are required. The MagicLight BT app allows you to control the bulbs individually or make groups to control them together. The MagicLight BT app is available for Android and iOS devices. 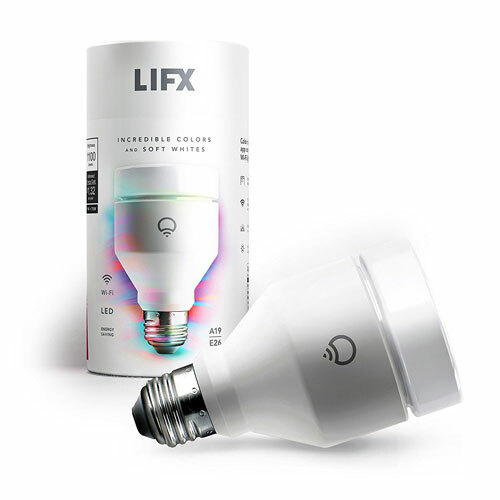 The second entry for Flux, but this smart bulb is controlled via onboard Wi-Fi, not Bluetooth. There are no hubs or controllers, just screw in the bulb and download the Flux Wi-Fi app. The app is available for Android devices (currently not compatible with Android Nougat OS) and Apple devices. The app allows you to create your own programs such as schedules and timers, select from 16 million colors, and control lighting while away from your home. You can connect the bulb with Amazon’s Alexa (Alexa sold separately) for voice operation. It is comparable with a 50W incandescent bulb and has a life expectancy of 20,000 hours. The Sunrise feature gradually illuminates the room in the morning and there is an option to have the light gradually fade away at night. With so many features like Music Sync, 16 million colors, and creating your own schedules, the possibilities are limitless. LED light bulbs are the future of lighting. They use less energy and output less heat than incandescent and compact fluorescent light bulbs. LEDs, in general, have a longer lifespan meaning less maintenance around the house. And LEDs do not have mercury in them like compact fluorescent lights. As you switch your lighting over to LED bulbs, smart bulbs can bring the extra convenience of a smart home to your life. Plus, when you hear a loud crash at the other end of your home at 2 a.m., you can use your smartphone to flood the area with light. And isn’t that better than creeping through the dark and blindly reaching your hand around the corner to feel for a light switch?